In advance of California’s Republican primary tomorrow, here are 10 important facts about immigrants and people of color in the state that display their significant economic, cultural, and electoral power. 1. Communities of color are driving California’s population growth. The Hispanic share of California’s population grew from just over 25 percent in 1990 to almost 38 percent in 2010, while the Asian* share of the population grew from 9.2 percent to 13.1 percent. While the United States will no longer have a clear racial or ethnic majority by the year 2050, California reached this milestone more than a decade ago, in 2000. 2. Voters of color make up a large share of California’s electorate. In 2008 Hispanic voters in California comprised over 21.4 percent of all California voters. The Asian voters in the state made up nearly 9.7 percent of state voters and the African American vote comprised nearly 7.7 percent in that year. 3. Close to half of immigrants in California are naturalized citizens—meaning that they are eligible to vote. In 2010 46 percent of California’s immigrants (4.6 million people) were naturalized U.S. citizens, up from 31.2 percent in 1990. And California has millions of potential voters that could play a decisive role in the upcoming election. There are over 2 million eligible but unregistered Latino voters in the state, and almost 2.4 million legal permanent residents who are eligible to become citizens and vote, a substantial number of potential new voters. 4. With the most recent redistricting process in California, 19 out of 53 congressional districts are now majority Latino, the largest number of majority-Latino districts in the country. 5. California led the country when anti-immigrant politics surrounding Proposition 187 in 1994 helped flip the state from red to blue. Proposition 187 barred unauthorized immigrants from receiving all but emergency medical services and was quickly struck down by the courts after passage. Latinos took Proposition 187 personally and in its wake they naturalized, registered to vote, and voted in large numbers. Since 1994 Democrats have won California in every presidential election. 6. In 2011 California passed a state DREAM Act. Under the California DREAM Act, many of the state’s undocumented students will become eligible for state and private financial aid that may cut the cost of attending college by up to two-thirds. 7. Communities of color add billions of dollars to California’s economy as consumers. In 2010 Hispanic purchasing power in California totaled $265 billion, representing an increase of 287 percent since 1990. From 1990 to 2010 Asian buying power in the state grew by 298 percent to a total of $172 billion. 8. Californian business owners of color own over a quarter of businesses in the state and employ thousands of workers. In 2007 California’s Latino-owned businesses had sales and receipts of $80.3 billion and employed almost 460,000 people, while the state’s Asian-owned businesses had sales and receipts of $181.3 billion and employed 906,000 people. These businesses together comprised over one-quarter of all state businesses. 9. Immigrants are essential to California’s economy as workers. In 2010 immigrants made up over a third of the state’s workforce at 34.6 percent. 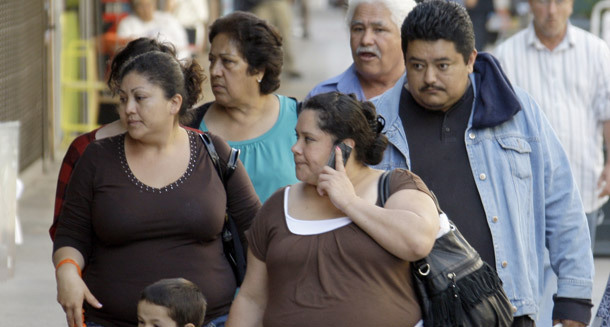 Immigrants accounted for over one-third of total economic output in the Los Angeles metropolitan area and roughly 30 percent of total economic output in the San Francisco metropolitan area in 2007. 10. Immigrants contribute billions of dollars in state and local taxes. Annually, California’s immigrants pay an estimated $30 billion in federal taxes, $5.2 billion in state income taxes, and $4.6 billion in sales taxes. Vanessa Cárdenas is Director of Progress 2050 and Angela Maria Kelley is Vice President for Immigration Policy and Advocacy at the Center for American Progress. *We use the term Asian when referring to racial identification, such as Census Bureau data that distinguishes between race and ethnicity and collects information on all United States residents regardless of their nationality. We use the term Asian American when referring to community groups that self-identify as such to describe their national identity.